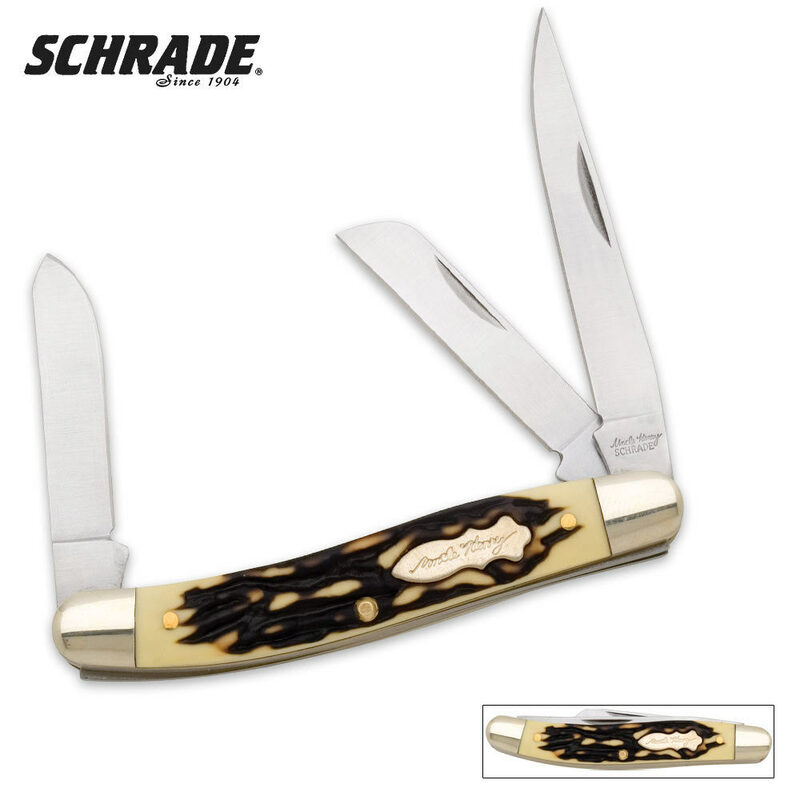 Schrade Premium Stockman Pocket Knife | BUDK.com - Knives & Swords At The Lowest Prices! Carry a folding pocket knife just like the one your granddaddy used to have with this classic Old Timer. From the sharp blades to the handsome handle and gleaming accents, this Schrade Premium Stockman pocket knife makes an excellent everyday carry.